"Yes, this is the exact spot. You have to take a left turn from here." I recommended Priya, as she was driving us towards her sisters place. This is the spot which I just cannot forget. Just a month ago, when we stood here last, we watched hundreds and thousands of pigeons flocking in towards the ground to pick up their grain of food. Radhey, the person who feeds them, allowed us to have the privilege of feeding them too. There were perhaps 20 more people like us who were feeding them. Radhey gets the grains in a sack and continues to feed them through the day. 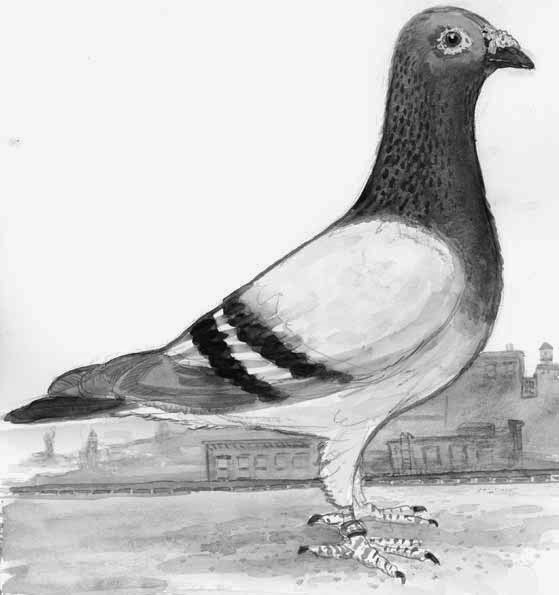 He charges a very nominal amount for the grains and lets you spend as much time with the pigeons as you would like to. It is actually an overwhelming experience considering the number of pigeons. They are just so many of them - must be more than a thousand. A small disturbance or a noise, and all of them rise together in such unison, and create such a beautiful fluttering noise, that no passer by can afford to ignore them. They will fill the sky and fly just above your head while landing or taking off. It is just like the experience of watching a plane taking off and landing just above your head - just that they are in thousands. The only thing you got to be a little careful about is the poop drops. The chances are quite high that one of the poops may just land at the top of your head or somewhere on your clothes. If you can take care of poops or be oblivious of the same, you can easily spend your rest of the day there - just watching those thousands of birds landing and taking off in quick successions, feeding them, and just enjoying nature. "Are you sure Rahul, this is the same point?" "Yes Priya. I am sure." "But I don't see a single pigeon today." "You are right, may be their food is finished, and they have no more reason to come back." I made my guess. "May be." Priya wondered in agreement. "But see there Rahul...I see that the food is still there...and there is Radhey..lets ask him what is the issue. Where have the birds disappeared in spite of the fact that the food is still there?" "Hey Radhey ji" I shouted. Radhey listened and smiled at us from the distance. I do not think he recognized or remembered us, but he was a cheerful face anyways. We parked our car on the side and were curious to understand more from him. "Radhey ji..what happened to all your pigeons. We don't see even a single one today. What happened? Where have they gone?" "Nothing sir !! They are all fine." "But where are they? I see the food but I don't see a trace of any pigeon. Have they moved to a new place?" "No no, they come here every morning and leave at sunset. Every species in nature follows this routine, except perhaps humans." "Even the greed for food is not motivation enough to keep them longer?" I wondered. "Not even for a moment, sir !! They are very particular about following natural laws." explained Radhey, as both of us listened in a strange dis-belief. "See Priya. No rat race here. No late night stretching. Food or money cannot make them disobey the laws of nature. And look at us - the human beings - the so called most intellectual species of all. If someone offers an attractive pay packet or if the client offers an incentive which requires us to sit late, we don't even blink an eye before agreeing to trade off our valuable time for that extra money or appreciation." "You are right Rahul. Come to think of it, the entire concept of a 'career' is misleading, unless of course one is in it for the sake of his or her passion." "What do you mean when you say that the concept of a 'career' is misleading ?" I was curious to understand more of Priya's thought process. "I mean, we grow as human beings, we have a family, we start earning 'for' them - and then, I don't know what happens suddenly - we start building our 'careers' by taking away 'their' time 'from' them. I don't know when this 'for them' changed to 'from them' and why." explained Priya. "Very good point Priya. Actually, I think it is only the herd mentality which keeps us in that zone of building a career, looking for a good position or role, and continuing to grow vis-a-vis our colleagues. Everyone around is doing that, so we tend to believe that it should be the only correct option. We started to compete in the herd by snatching our time from children, and then wondered why our children do not tell us everything that happens in the school. We followed the herd, even if we knew the entire herd may be headed to hell. We took time away from our parents and then repented when suddenly one day - they existed no more. We took our spouse for granted, and then wondered where is the spark that once existed between us. We forgot that every relationship needs time." "Bang !! You hit the bulls eye Rahul." We went back to our car and were about to drive away to Priya's sisters home. We were getting a little late. As we steered the car away from the scene, we saw Radhey also packing his bags and moving towards his home. Not sure about others, but at least Radhey has learnt to be in tune with nature, just like his birds. But we, as humans, were a long way to go. At the same time, we were absolutely clear that a professional career is to be able to feed your family and to be able to spend a lot of time with them, to take care of them, to live our life with them. We were not going to allow the herd mentality or money to reverse it for us. Life's best lessons are usually learnt in such simple and common incidents, which often go unnoticed.